Convertible car hire Tejeda Gran Canaria. 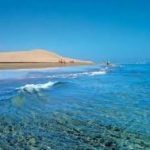 We compare prices from Gran Canaria’s leading rental companies. Our philosophy is simple, the best quality at the lowest price on your car rental. Our prices on car hire always includes unlimited mileage, and all necessary taxes and insurances. 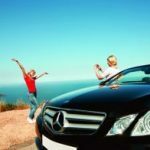 Use the search engine below for guaranteed best price on convertible car rental Tejeda Gran Canaria in Spain. 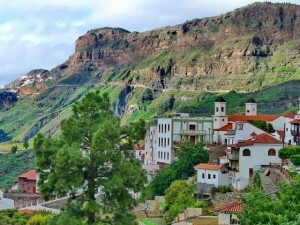 The village Tejeda on Gran Canaria is the second smallest of the island. It is home to the nearby Cruz de Tejeda (Tejeda cross), a gloomy carved stone crosses in a mountain pass in 1580 m above sea level, which marks the geographical center of Gran Canaria. This popular tourist attraction you will find busy restaurants and bars, shops selling souvenirs and other local specialties, including super honey, and a man offering donkey rides for children. This is a nice place to sit back, relax and enjoy a cup of coffee. If you seek peace, then you should avoid this place on weekends, since there is also a favorite getaway spot for the locals. 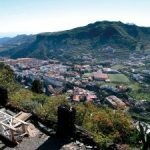 If you need car hire in Tejeda, its easiest to order the rental car online and pick it up when land at Gran Canaria Airport. Then you easily can return the car when traveling back to your home country, and you do not need alternative transportation to and from airport. In most cases, this is less expensive than using small local car rental supplier in Tejeda. Use the search engine above for guaranteed best price on car rental in Tejeda. The high peaks attracts naturally serious hikers and climbers but this area also offers relatively short and easy trails to tempt the less energetic for a pleasant stroll in this dazzling beautiful landscape. While some of these trails are new, most of them Caminos Reales (royal paths), ancient paths that were used by the Guanches – the first known inhabitants of the Canary Islands – to get around the center of the island. 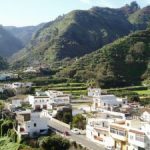 The village Tejeda is surrounded by cornfields in terraces, orchards and vegetable fields and is about 1000 m above sea level. It is located on the slopes of a crater and has many archaeological remains as graves, caves, rock carvings and paintings. 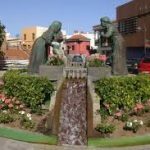 When almond trees blossom in the first two weeks of February is Tejeda at its most beautiful – an occasion that will be celebrated at the popular festival. 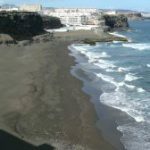 This entry was posted in Car hire Gran Canaria, Car hire Tejeda, Tejeda and tagged Car hire, convertible, gran canaria, rental car, Spain, Tejeda on 3rd February 2018 by Vera.